On 18 March, the League of Arab States (LAS), the African Union (AU), the European Union (EU) and the United Nations (UN) held a meeting at the headquarters of the League of Arab States to discuss the situation in Libya. 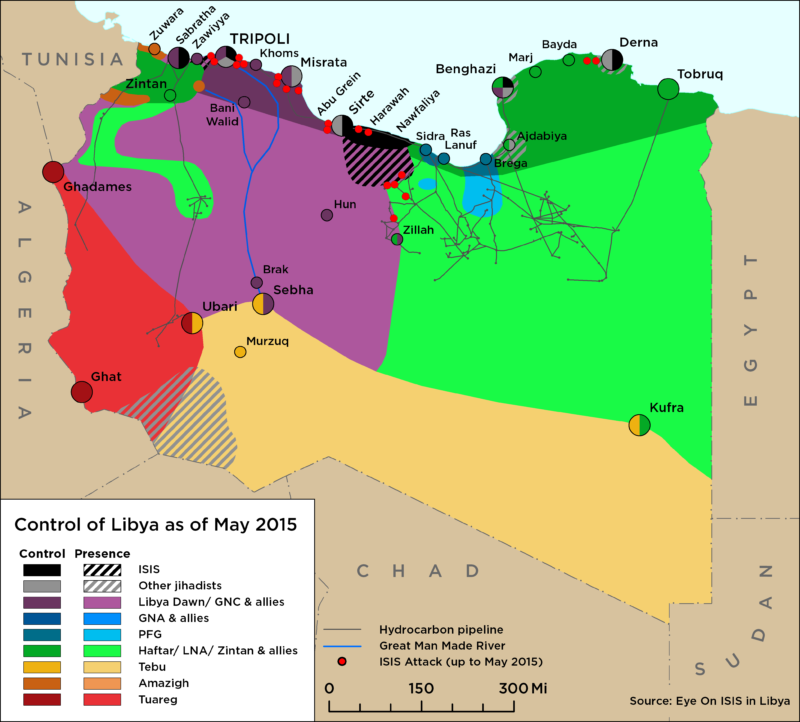 The four organisations decided to establish a Quartet to coordinate their efforts and in a statement they ‘reiterated their commitment to the sovereignty, independence, territorial integrity and national unity of Libya and its institutions under the Libyan Political Agreement (LPA) signed in Skhirat.’ The Quartet also condemned the recent fighting in the Oil Crescent. At the meeting, UN envoy to Libya Martin Kobler congratulated the Presidential Council (PC) for negotiating last week’s ceasefire in Tripoli. Egypt’s Chief of Staff Mahmoud Hegazy met with Kobler on 19 March to discuss the situation in Libya. 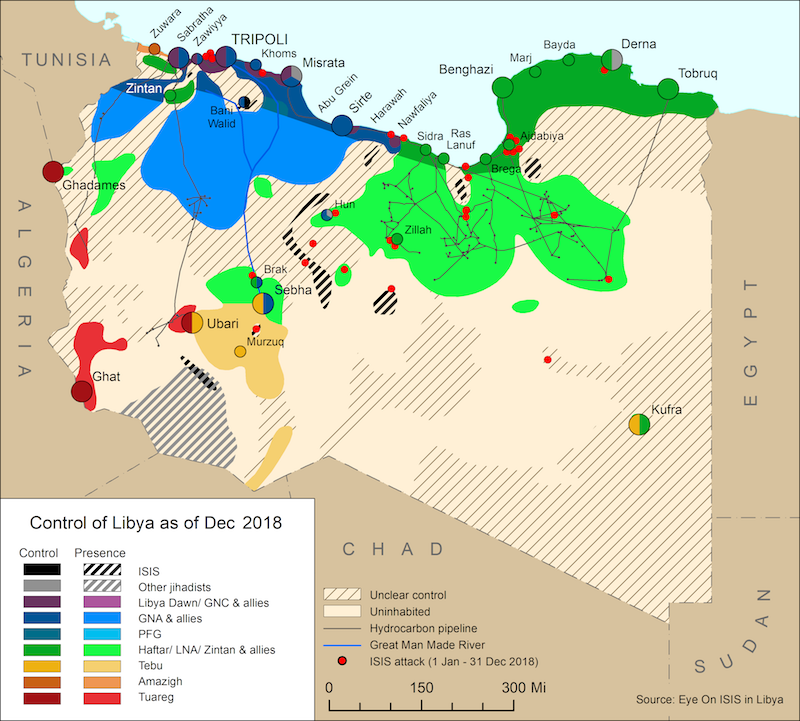 Hegazy asserted the importance of all political entities in Libya reaching a peace treaty, adding that this agreement should be based on preserving Libya’s unity and stability. On 20 March, Prime Minister Fayez al-Serraj attended a meeting in Rome between interior ministers from the central Mediterranean to discuss efforts to curb migration from Libya. According to Italy’s Corriere della Sera, the PC has requested 800 million Euros worth of equipment to help patrol its coast and territorial waters, including radars, boats, helicopters and all-terrain vehicles.